If you follow our work, or are interested in the sector, you will know that data on housing finance across Africa is scarce. You’ll also know that without proper data investors, lenders, government, regulators and other stakeholders cannot make informed decisions that support market growth. This dearth of information is particularly acute when it comes to how urban households in Africa invest in their housing: How long does it take to build a house? What financing tools are used? What challenges are faced and what is prioritised? How is land secured? As part of our efforts to contribute to the development of the sector, CAHF, in partnership with FSD Moçambique (FSDMoç), has commissioned Sarah Langhan and Associates (SL&A) to undertake research titled, Housing Investment Chronicles. The research will essentially create chronicled accounts of how households in Beira and Maputo, Mozambique invest in their housing. The accounts will reveal households’ priorities and challenges faced, and while addressing questions concerning time, financing, housing (such as the building materials used), and land and title. With the final publications due early next year (sign up to our newsletter to be notified about the release), CAHF and FSDMoç attended the SL&A surveyor workshop, marking the start of the project, contributing to the training of the students who will be out in the field collecting the essential information. 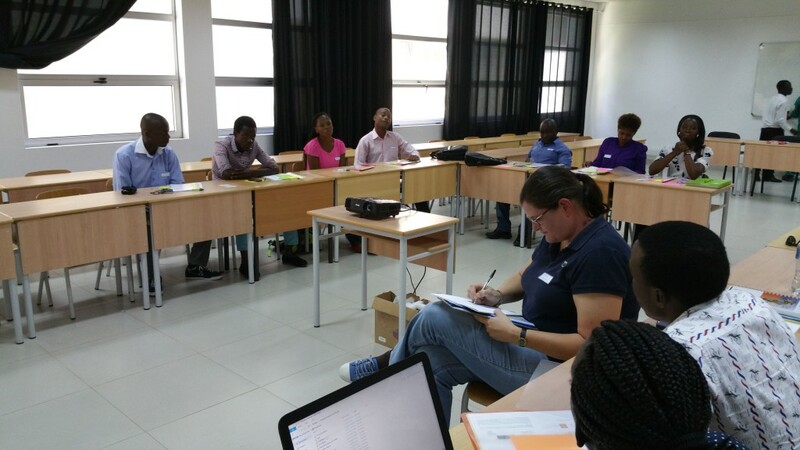 The workshop focused on ensuring that the data collected followed a proper methoodology, teaching the students what questions to ask to create a housing chronicle. With only 2.99 percent of outstanding loans in April 2016 being for housing, according to Banco de Moçambique, we’re looking forward to the seeing the results of the research, which we will disseminate to public and private sector stakeholders, and use to better understand how households invest in housing in Africa.